Debating an Obamacare replacement plan during the House Energy and Commerce Committee meeting Thursday, Representative John Shimkus, a Republican from Illinois, questioned whether a man should pay for prenatal care. “What about men having to purchase prenatal care?” Shimkus reportedly asked. Shimkus was referring to the provisions in Barack Obama’s Affordable Care Act that require all individual health plans to cover pregnancy and childbirth. Before the ACA was passed in 2010, insurers could exclude maternity coverage from plans. Even under Obama’s reforms, coverage of prenatal visits under the Affordable Care Act has been somewhat limited. If a person misses the open enrollment period under Obamacare, they are eligible to obtain a plan after the deadline if they “had a baby,” meaning if they already gave birth. Becoming unexpectedly pregnant, however, is not a qualifying life event to enroll in the marketplace after the deadline has passed. With the GOP-controlled House and Senate now intent on rolling back healthcare reforms and placing women’s health on the chopping block in particular, a new study arguing that the United States should fund birth control for every single woman in the country is not likely to win the lawmakers over. The study, commissioned by Planned Parenthood, found that giving every woman in the United States access to the most effective birth control available, specifically long-lasting implants such as hormonal implants or the intrauterine device, would save taxpayers as much as $12 billion each year. The researchers used data from 40 Planned Parenthood clinics, 20 of which offered IUDs and progestin implants. The other 20 clinics did not have staffers who were trained on how to implant IUDs or the progestin implants. The data suggested that women who visited the clinics whose staffers were able to insert IUDs and progestin implants were less likely to become pregnant. Unintended pregnancy rates for the women who visited the clinics with more birth control options fell by 64 percent, the report says, while the so-called “unintended birth rate” fell by 63 percent. Abortions fell by 67 percent. Not having access to birth control can rack up costs in other ways. The researchers pointed to a trend of unwanted pregnancies leading to "negative pregnancy-related behaviors” that put the health of the fetus at risk, behaviors such as drinking or smoking during pregnancy or delaying prenatal care. Such behaviors, should the woman end up giving birth, could cause healthcare problems for the child and the mother that taxpayers may also end up paying for. Ever since the election, many women have reportedly asked their doctors about the IUD, which is a removable device designed to prevent pregnancy for as long as it is implanted in a woman’s uterus. Unlike the birth control pill, which is also effective in preventing pregnancy, there are no monthly costs or refills associated with the IUD, making this birth control method an attractive option for women who fear that they may lose their health benefits. But IUD devices have also frequently been linked to unintended, and expensive, side effects. Class action lawsuits filed against Bayer over its popular Mirena IUD say that the device can puncture the uterine wall and end up elsewhere in a patient’s body, even when trained doctors insert the IUD according to instructions. Personal injury attorneys in 2013 said that they had found 47,000 adverse event reports related to Mirena in the FDA’s voluntary reporting database. 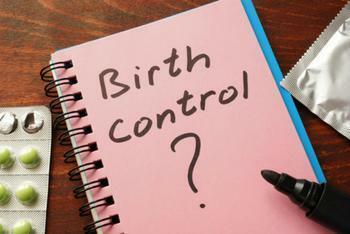 Is the birth control you’re taking safe?